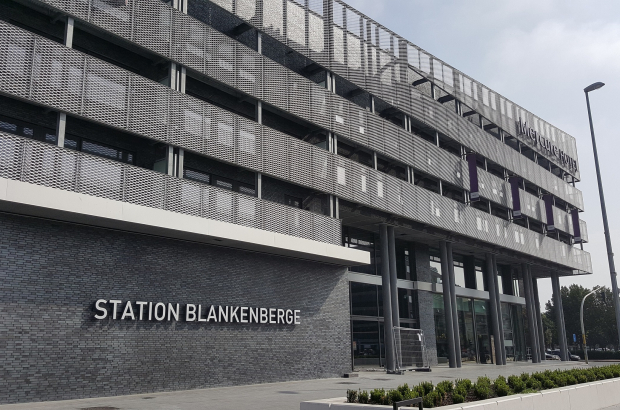 The coastal city of Blankenberge officially opened its new train station earlier last week. The new station complex has been under construction for four years and also includes apartments and hotels. The new station is much roomier, with space for customer service counters, ticket machines, benches, baggage lockers, toilet facilities and a Hubiz press shop. It was opened on Wednesday in the presence of federal mobility minister Francois Bellot, mayor Ivan De Clerck and NMBS CEO Sophie Dutordoir. The development also comes with a new parking garage with 740 spaces for cars and 300 spaces for bicycles. That has been open since 2016. Above the station are apartments, and two new hotels also make up the new complex. Some 1,600 travellers a day pass through Blankenberge, and half a million tourists in the summer. It is the busiest train station at the coast outside of Ostend. The project was a co-operation between NMBS, the City of Blankenberge and development firm Gromabel. And more is on the way: Ground will soon be broken next to the station on a new housing development, including 80 social housing units.